According to the 2015 Genworth Cost of Care Survey, assisted living facilities around Portland costs more than the nationwide average. The average price of assisted in Portland is about $46,740 compared to $43,200 for the United States overall. That breaks down to $3,895 per month for people seeking assisted living within Portland. However, assisted living in the area seems to be a better deal compared to other similar services like nursing home care and home health aide services. The homemaker service will, for instance, cost $53,196 per year. If you decide to get home health aide service then you should be prepared to spend about $53,196 per year. Again, these costs are far below what you will be charged when you opt for the nursing home care services. The nursing home care services for a semi-private room costs about $96,725 per year and the cost of a private room in a nursing home facility will be around $101,835 per year. Portland, Oregon is an excellent retirement choice for seniors, especially since it has plenty of nursing homes and assisted living centers. The city has excellent hospitals, mild weather and a robust transportation system. The city has always been a nationwide leader in senior care and continues that trend today. The assisted living facilities are located all around Portland. Some of the common facilities include: the Cherry Blossom Cottage, Markham House, Brookdale Sellwood, and the Regency Park. Other nearby assisted living facilities include: Prestige Senior Living Beaverton Hills located in Beaverton, Royalton Place in Milwaukie, Town Center Village in Happy Valley, and Homewood Heights in Milwaukie. The costs and services offered in these facilities are different yet similar in some ways. What’s Included in the Assisted Living Package? Private apartments – this could be a 1 bedroom apartment or a studio. Emergency call systems that you can use to call for help when you urgently need it. 24/7 security and supervision, including on-call nursing assistance and on-site security. Daily meals that are often served in a common dining area. Medical services and this would include refill reminders and reminders to take medication. Wellness and fitness programs and this would include a gym, a pool, a jogging or walking club, or yoga, among others. Housekeeping services and this would include laundry services. Basic utilities like water, natural gas, electricity. Some facilities will provide cable TV, Internet and more. Social and recreational activities including movie nights, game nights, holiday parties, birthday parties, religious services, trips to museums, among others. Transportation and shopping assistance often provided on a regular. There are many opportunities for Portland, Oregon veterans and among them is the Vocational Rehabilitation and Employment (VR&E) program that provides veterans with service-related injuries and disabilities with assistance and services to prepare them and even find them suitable employment. 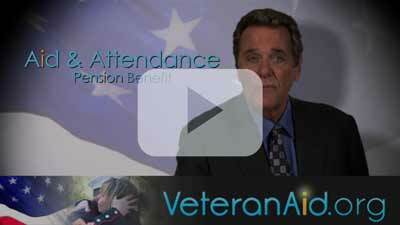 Veterans can also use find A&A pension help at the VeteranAid.org website.